As a family one of our favourite treats is a cheeky little McDonald's. 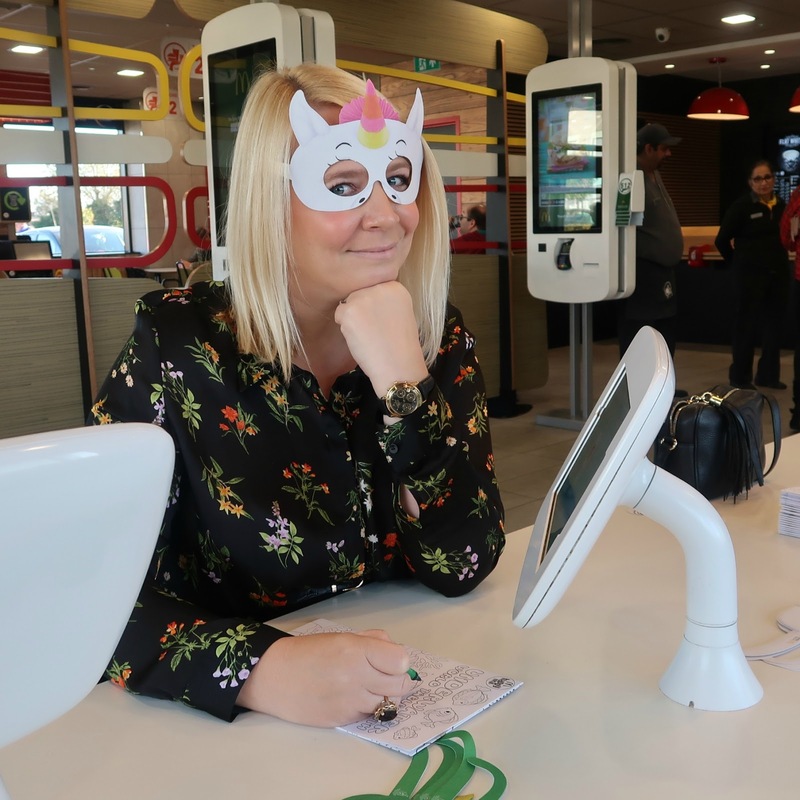 Whilst I usually take the children along with me for a visit, recently I was asked to go the McDonald's in Star City to check out some of the things available that can make my life a bit easier as a Mum. I will be honest the thought of grabbing my lap top and indulging in a vanilla milkshake and fries that I didn't have to share was too much of a pull to say no. Especially as now you can get them delivered to your table. Happy days. The Star City McDonald's is part of a franchise on the side of Birmingham that I grew up in. I shared many a happy meal with mates and teenage boyfriends on that side of town before I grew up and everything had to be shared with two humans. 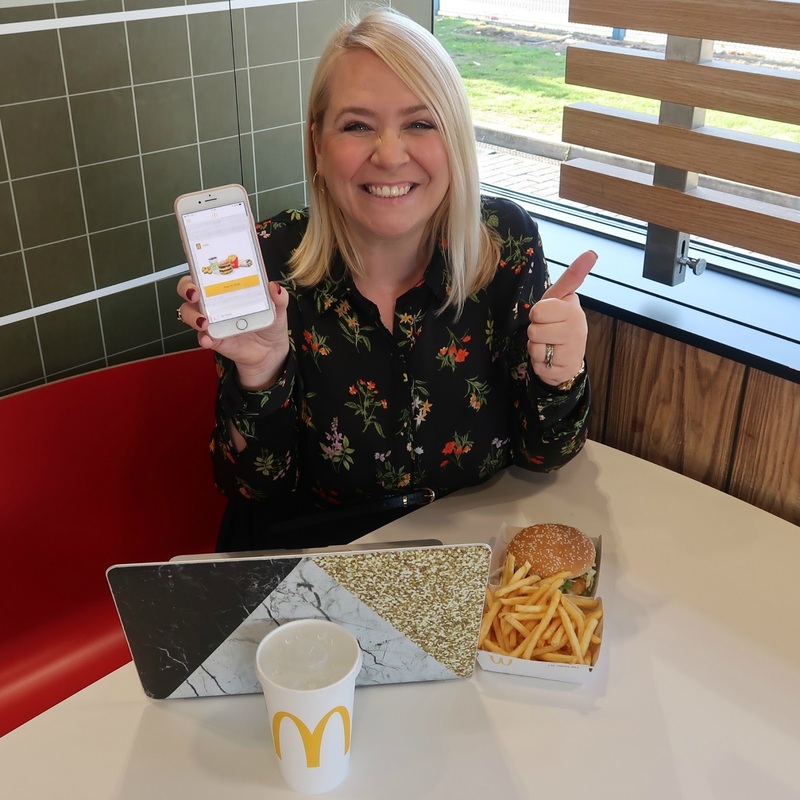 Before we tried out the new My McDonald's app I got chatting to some of the staff and it was lovely to hear about how working there fits in with their different lifestyles. We also enjoyed a frantic game of Angry Birds on one of the new special 'magic' tables. Over the moon that we could play rather than just watching our little ones have all the fun. These tables have a range of different games the kids can play and correspond with whatever Happy Meal is running at that time. There are a few different ways you can order your McDonald's. Obviously you can go old school and visit the till. But you can also use the self-service kiosks. So you simply place your order and go and collect it. But did you know there is also a table service now? So after you have placed your order and pay for it you can grab a numbered 'tent card' and pop it on your table. Then you wait for your food to come. This. Is. A. GAMECHANGER! Especially if like me you are often taking a whole gang of children there on a playdate. No more waiting at the tills hoping they aren't throwing serviettes at each other's heads. I also got chance to try the My McDonald's app which blew my mind. Once you download the app you can order your food on the way to the restaurant. Upon arrival, by some sort of magic (or probably technology I do not understand) the staff start to make up your order when you step through the door. My favourite thing about the app is that you can store orders. So if like me you haven't changed what you eat in 15 years you can pop it on there. It's also really great to keep a log of specific orders that your children may have without always having to search for them in the branch. I can't wait to show Stephen. This is the kind of gadget he lives for. It was brilliant to grab my lap top and answer some emails whilst waiting for my food to be delivered and I will for sure be visiting again to get some work done on days I feel like I need to get out of the house. McDonald's will always be a place we love to visit with the children and now I feel with table service and the magic My McDonald's app it is going to be even easier. Thanks so much to McDonald's for inviting me down and if you would like to find out any further information please do not hesitate to check out their site here.